It’s finally spring! 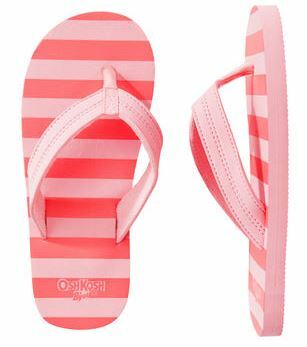 OshKosh wants to help you celebrate with a Buy One, Get One sale on swimwear, flip flops, or shoes! There is no coupon code needed for this sale. You can also use coupon codes 15OFFMAR to get 15% off your order (through 3/31) or MAR25OFF to get 25% off your order of $40 or more (through 3/23). These codes exclude clearance, doorbusters, and the B1G1 swimwear deal. Sale is valid through 3/21.